Member of Parliament Pratibha Singh met Union Labour and Employment Minister Sis Ram Ola in New Delhi and urged him to start MBBS classes at ESI Medical College and Hospital Ner Chowk from academic year 2014-15. Mandi parliamentarian requested union minister to provide adequate funds for infrastructure development of Rs. 1000 crore ESI Medical College and Hospital at Ner Chowk, Mandi. She urged him also grant permission to start admissions for 100 seats of MBBS course from next academic year and offered attachment of 300 bedded Zonal Hospital Mandi for clinical facilities till the construction work on ESI Medical College and Hospital is not completed. Singh informed that the State Government is willing to sign Memorandum of Understanding with Union Ministry on this issue under which the ESI Medical College and Hospital can utilize all the equipments, machinery, manpower and infrastructure of Zonal Hospital Mandi for academic purpose for facilitating the study of medical students till such facilities are not created in ESI Medical College and Hospital at Ner Chowk. Pratibha Singh said that the State Government had provided 31 acres land to ESI at a token lease of Rs. 1.00 for 99 years lease. 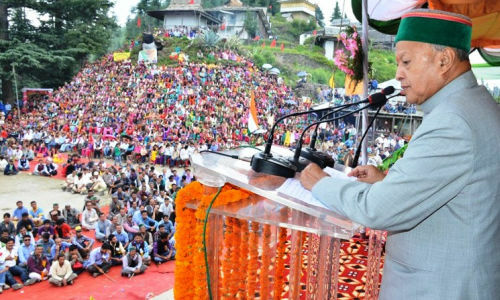 She said that the institution would be instrumental in providing specialized medical services to the common hilly people and requested the Union Minister to start joint ventures between Centre and the State Government to set up ESI hospital and Medical Colleges in Sirmour, Solan, Una and Kangra districts and offered free land and other infrastructural facilities to set up new ESI Medical College and Hospital in the State which will benefit common citizens and ESIC beneficiaries. Singh said that the State Government had already requested Union Health Ministry to grant essentiality certificate to this College as per relaxed provision so as to make it functional besides attaching it with the existing 300 bedded Zonal Hospital at Mandi. 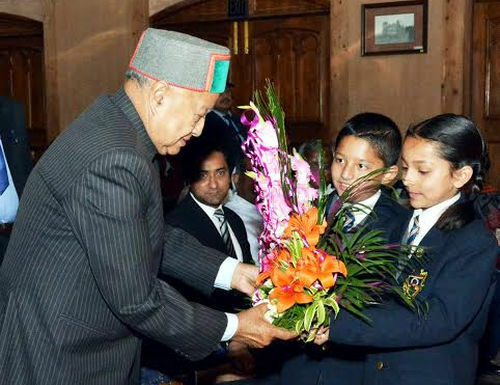 The Employees State Insurance Corporation Hospital (ESIC) would benefit the ESI scheme beneficiaries as well common citizens of the Mandi district and surrounding areas, she added and told that fifty per cent of the seats in the medical college would be reserved to bona-fide students of Himachal Pradesh. 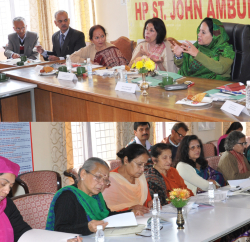 She stated union minister that the institution would be instrumental in providing specialized medical services to the common people and added that it was joint venture of Centre and the State Government to start ESI Hospital and Medical College in district Mandi. She said that the Employees State Insurance Corporation Hospital (ESIC) would be able to meet the growing demand of specialists in different medical disciplines. Pratibha Singh also requested the Union Minister to provide funds under Grants in Aid Schemes to Voluntary Organizations/ NGOs to take up action-oriented projects for the benefit of women labour, particularly in industrial areas like Baddi-Barotiwala, Paonta Sahib, Kala Amb etc to start projects relating to awareness generation campaigns for women labour, in the area of wages like minimum wages, equal remuneration, etc. to disseminate information on various schemes of Central and State Government Agencies available for the benefit of women.